WELCOME TO TEAM DRAGONFLY'S FUNDRAISING PAGE, RUN BY RUTH AND PETER EMBLIN! In our 10th year of participation in a Leukemia Cup Regatta event we are upping our fundraising goal to $25,000 this year. There is hardly anyone among us who has not been touched by cancer either personally or through family and friends. This makes it so important to support events like the Leukemia Cup Regatta, benefiting The Leukemia & Lymphoma Society (LLS). 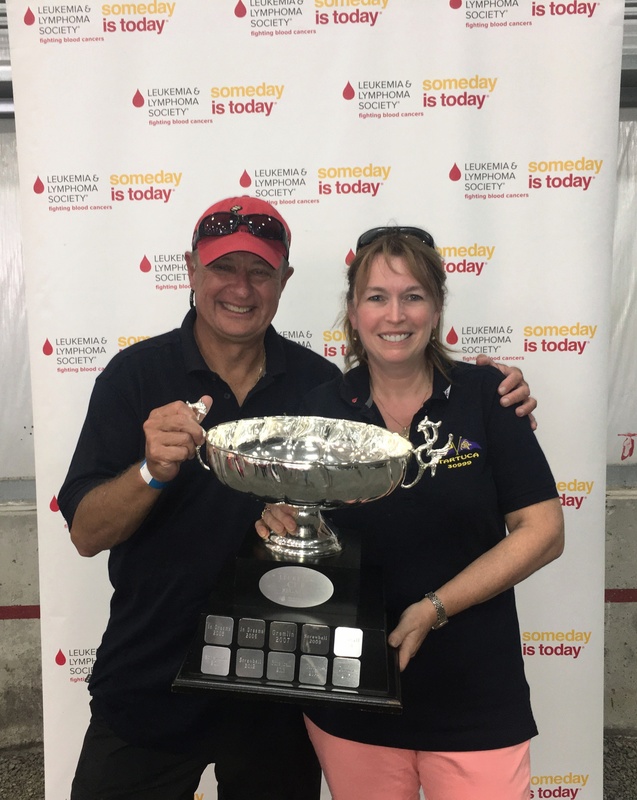 By participating in the Leukemia Cup Regatta series, we are doing our part to help find cures and ensure access to treatments for blood cancer patients. We are involved on behalf of family members and friends who have been stricken by blood cancer. Without the research of organizations like LLS they would not be among us! You can help us win the fight against blood cancers by donating to our page, or by joining our team as a fundraising teammate. Please share our fundraising page with your friends, family, or anybody else you feel can help make an impact. Hope you will join us in the fight against blood and other cancers by donating to our page! It's our pleasure to do our little part to help you help others, in memory of a true Titan who fell to Leukemia, our friend the great Peter Matthiessen. With gratitude to you for your tireless and profound dedication to this very important cause over the many years. IN memory of Alice Curley Thank you Ruth and Peter--best wishes for another successful event!